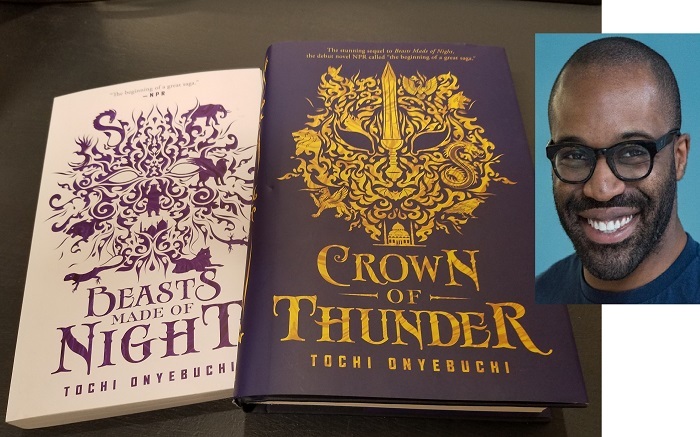 Author Tochi Onyebuchi returns to Revolution Books with his new young adult novel Crown of Thunder – sequel to Beasts Made of Night. Crown of Thunder takes us into a walled city/empire where thrown-away street children have a special gift: they are forced to eat the sins of the rich and powerful, ensuring their continued rule … until rebellion and insurgency explode. Street fighters, scientists, mathematicians and artists, refugees and fugitives, come together and struggle with new ways of relating to each other and carrying forward the battle for freedom. Tochi Onyebuchi holds a B.A. from Yale, an MFA in Screenwriting from Tisch, a Masters degree in Global Economic Law from L’institut d’études politiques, and a J.D. from Columbia Law School. His writing has appeared in Asimov’s and Ideomancer, among other places.